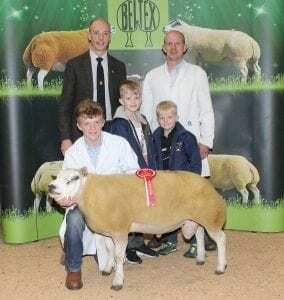 Andrew, Jamie, Dale and Jaden McCutcheon, Bodoney Beltex with their Supreme Champion, Lot 38, Bodoney Caveman ET, a Shearling Ram and judge, Grant Anderson. 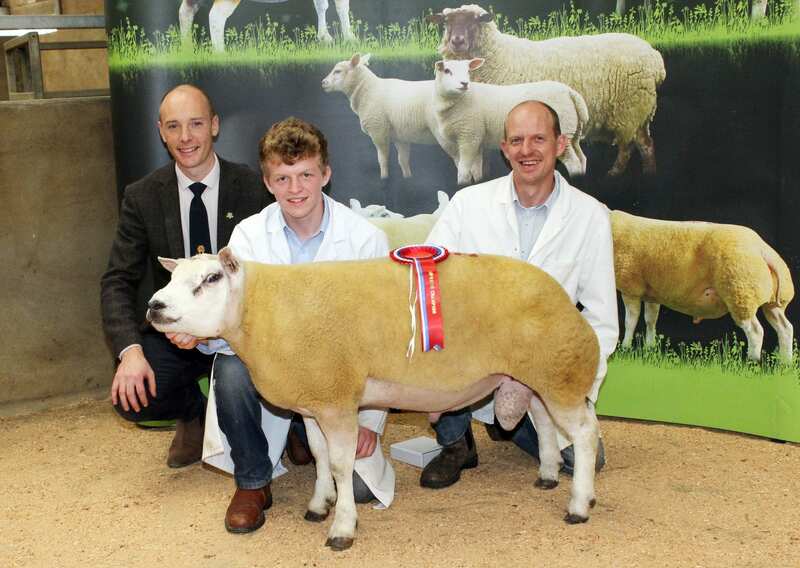 Seamus and Paddy Kelly with their Aged Ram Champion, Lot 1, Bursyepark Benny. 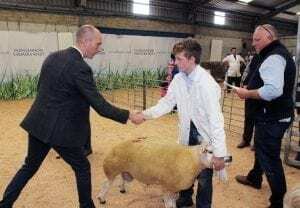 Scottish judge, Grant Anderson, tapped out the home-bred Ram whose Sire was Kingledores Apollo ET and the Dam, Rocksolid Tumble. 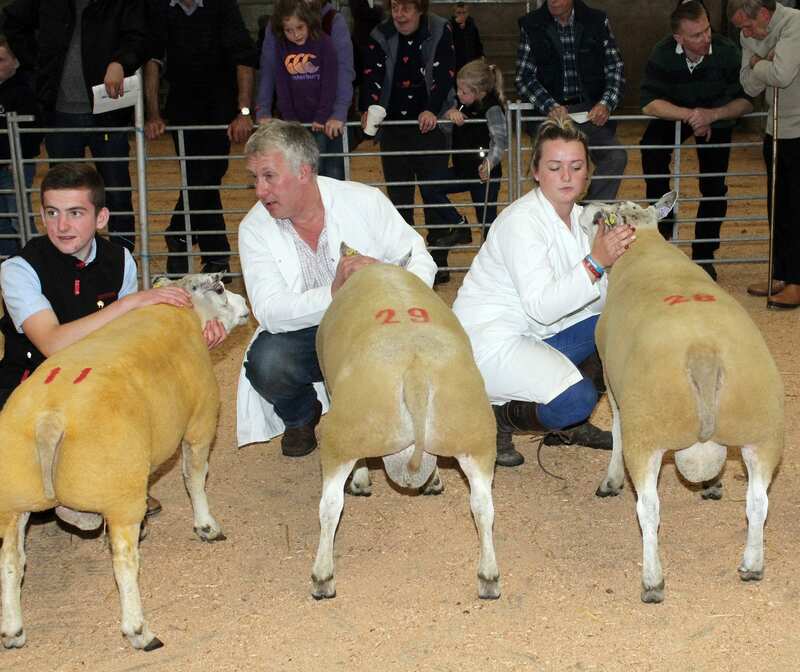 Runner-up in the class was Carnew Cash (Lot 24) belonging to Mrs C. Aiken from Dromara. 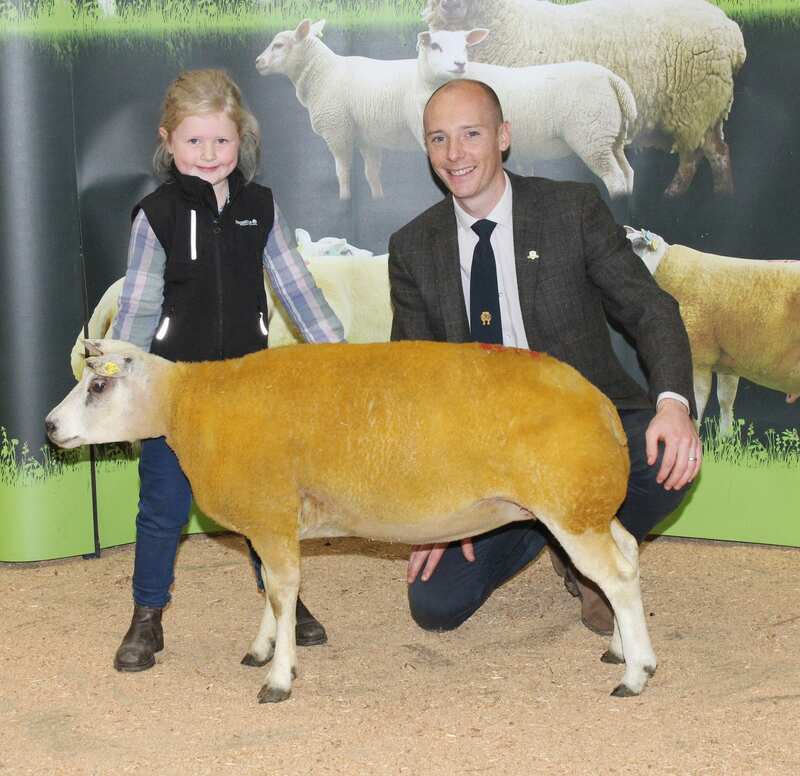 Finishing in second place in the Shearling Ewe class was Glenkeen Cbeebies ET (Lot 69) from Limavady-based F & J Harbinson who went on to take the Reserve Female Champion title. Female Champion was Artnagullion Cleo ET. The Ram Lambs class was won by Ravara Dirty Old Town (Lot 55) belonging to A Murray & Son from Ballygowan. 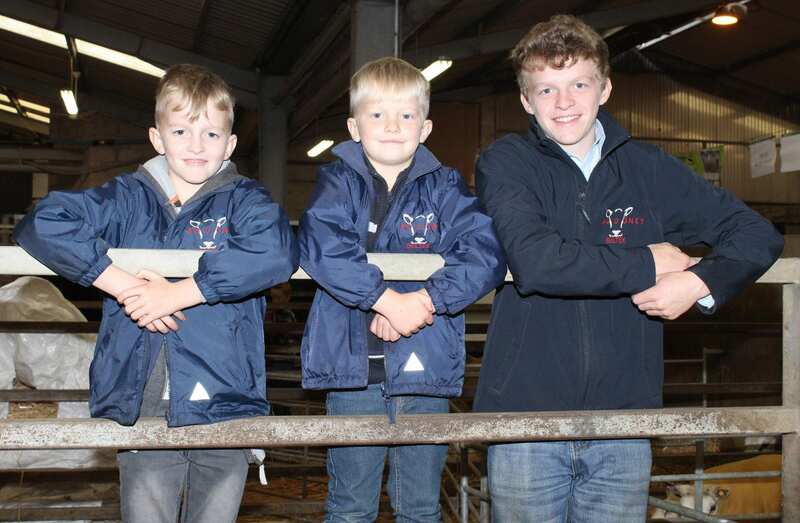 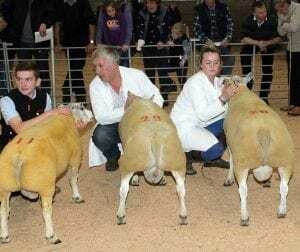 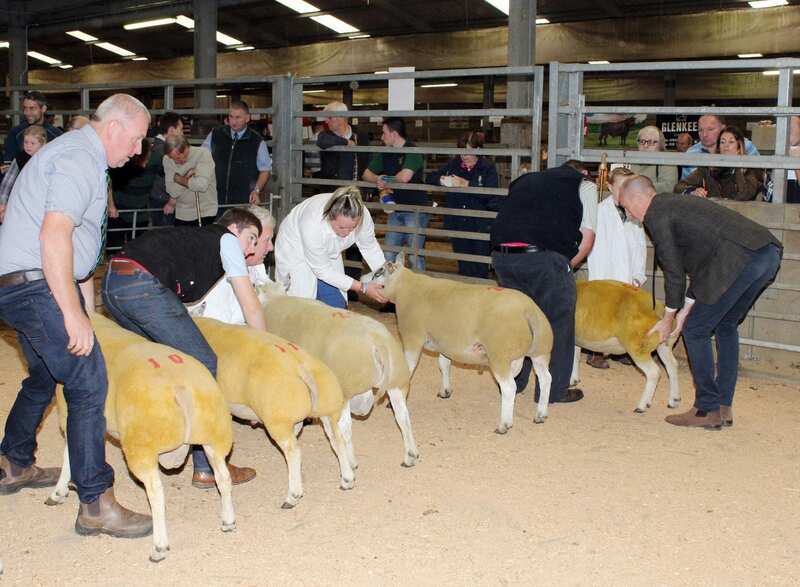 A total of 90 MV Accredited and Scrapie Monitored Pedigree Sheep were listed for sale on the day with the top price of 1120gns paid for Bodoney Charlie ET (Lot 39) a Shearling Ram belonging to Andrew and Jamie McCutcheon, Trillick. 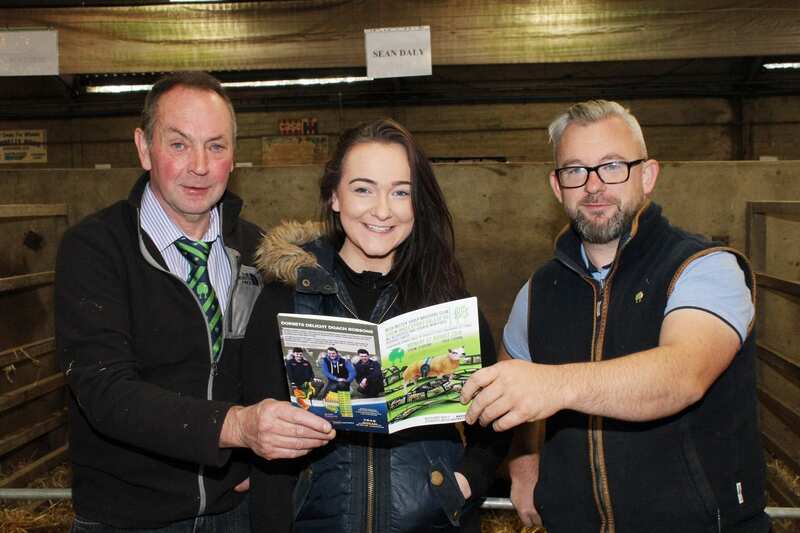 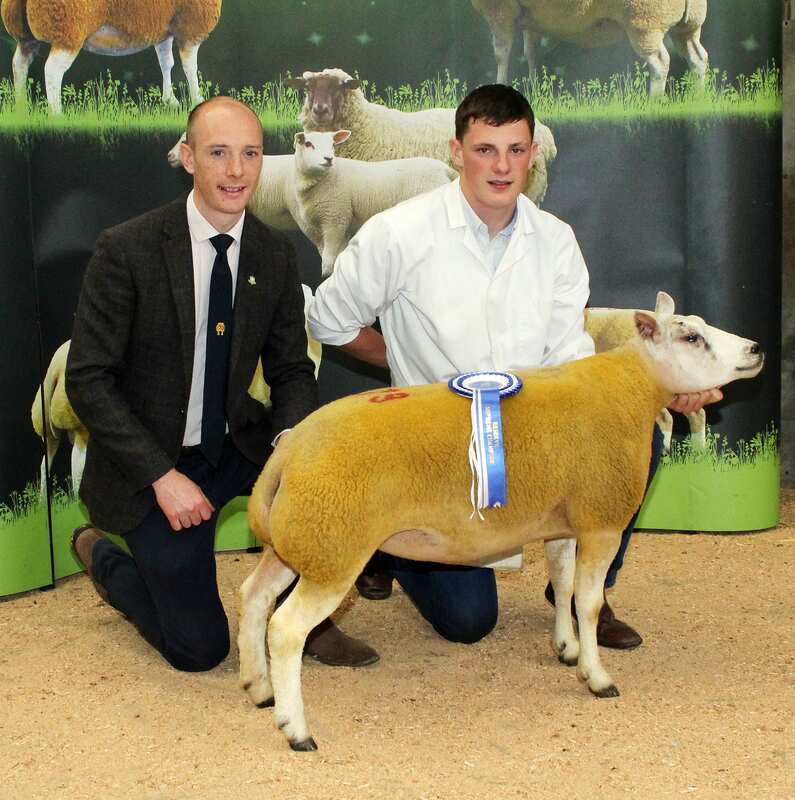 Next best was 650gns paid by S. Rooney from Sligo for Derryouge Chic, (Lot 84) a Shearling Ewe belonging to Edward and Shirlee Nicholson from Kilkeel. 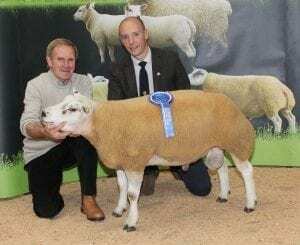 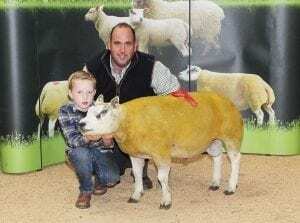 Again 620gns was the sum paid by Alexander Ross from Newtownards for a Shearling Ram belonging to Mrs C. Aiken (Carnew Flock) Carnew Cash, ( Lot 24) the Reserve Male Champion. Meanwhile, the Female Champion, Artnagullion Cleo ET, (Lot 79) belonging to Elizabeth McAllister sold to A.J. Mutch & Son from Witney for 500gns. The Ram Lambs class winner, Ravara Dirty Old Town, belonging to A. Murray & Son, was purchased by Geoffrey Porter from Crumlin for 340gns. 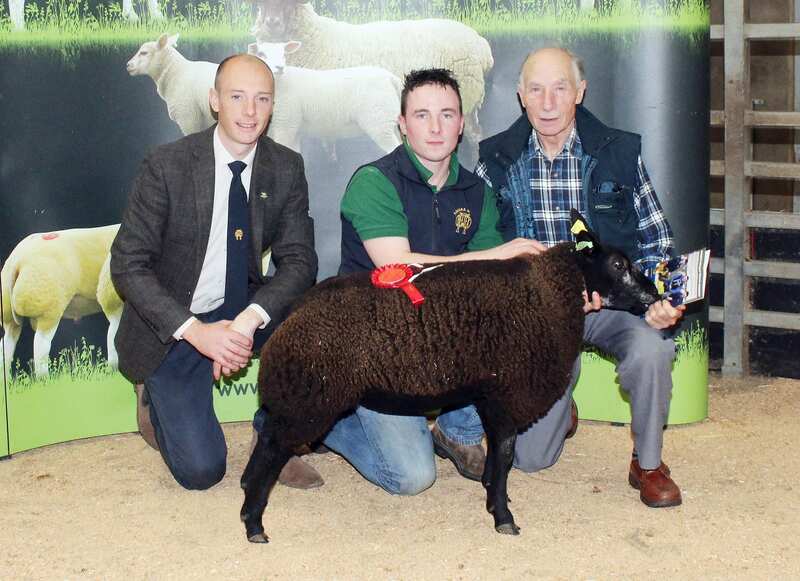 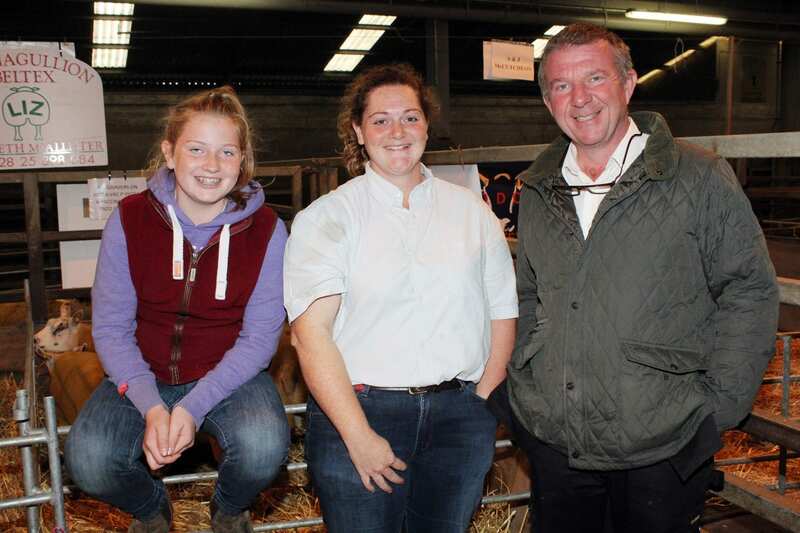 The Ewe Lambs class winner, also from Ballygowan-based A. Murray & Son, Ravara Dark Star ET, (Lot 88) fetched 300gns. 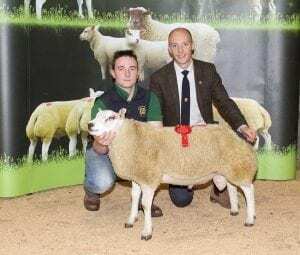 PT Lyons from County Cork was the buyer.